PlaneNoise provides HTO management with turnkey noise complaint management services using its innovative Complaint Box solution featuring automated, web-based tools that streamline the entire complaint process -- from data collection to GIS mapping to detailed analyses and reporting. PlaneNoise™, a provider of affordable and comprehensive airport noise complaint management solutions, today announced that East Hampton Airport (HTO) in Wainscott, New York, on Long Island’s East End has agreed to utilize the PlaneNoise™ Complaint Box to enhance its noise complaint handling process. PlaneNoise™ Complaint Box is an innovative, web-based aircraft noise complaint management application that automates and simplifies the labor and cost intensive tasks of noise complaint collection, investigation, response, database management and reporting. 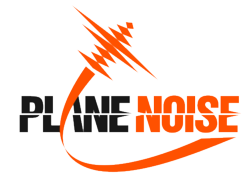 PlaneNoise™ is a service of Grotell Consulting, Inc., an aviation noise consultancy established in 2007 serving public and private clients with a focus on noise complaint management solutions, aircraft noise policy as well as government relations and community affairs. To find out more about PlaneNoise™, please visit http://www.planenoise.com.